My baby girl is also a foodie and loves playing “restaurant” insisting on serving me real food that she can prepare alone. A Banoffee Shake is a gem on Kaia’s list, because she knows I love bananas and (almost) doesn’t require any of my assistance to make it. 1- Place in the blender bananas, milk, ice cream and lemon juice. 2- Process for 30 seconds or until smooth. 3- Sweeten with honey if desired. 4- Pour into glasses and decorate with grated chocolate and banana slices. 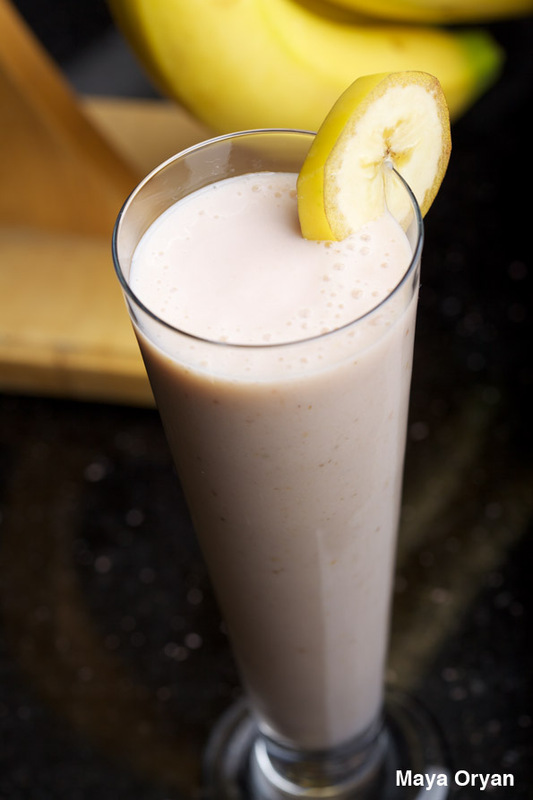 1- Place in the blender bananas, yogurt, ice cubes, sugar, liquor and lemon juice. 2- Process until smooth and creamy. 3- Pour into glasses and decorate with grated chocolate and banana slices. P.S. The riper the fruit is, the sweeter the taste. 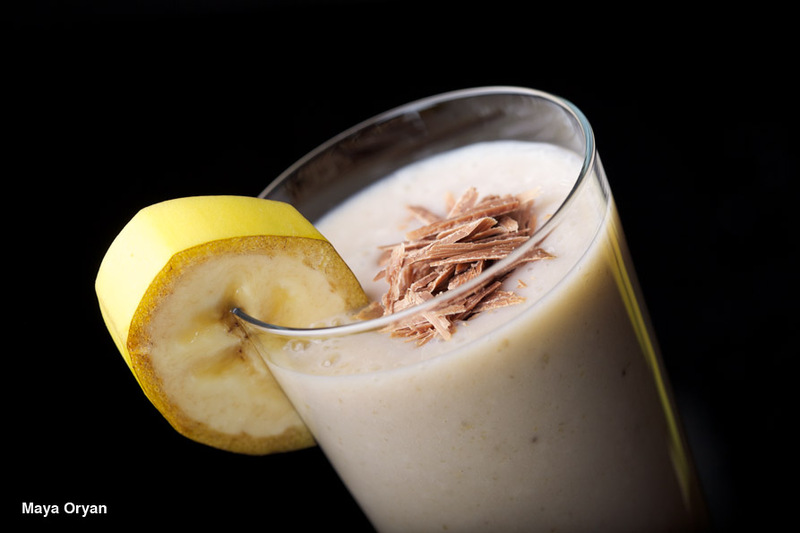 This entry was posted in Recipes and tagged banana, banoffee milkshake, food photography, Food Stylist, fruits, juice, lebanese food blogger, Maya Oryan, Milshake, smoothie by Maya Oryan. Bookmark the permalink.